Pauline, the birthday girl at work, loved her cake and there were lots of compliments for it. Vero said: “you can taste the beer, in a good way!”, Obi loved it and said that it would be great with some custard, I agreed. 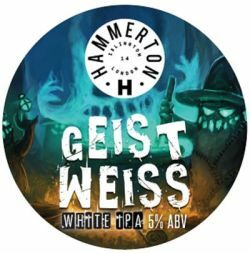 I have a feeling that Geist Weiss is about to become a collector’s item so I’m glad I swiped a few bottles from the brewery tap room on Friday night. It’s my favourite beer for CAKES.